Located in the Ozark foothills of Taney County, Missouri and just 8 miles south of Branson, the airport in Branson can accommodate all types of commercial aircraft (except wide-bodies like 747’s), enabling non-stop and direct flight from anywhere in the continental United States. Branson, Missouri is serviced by another airport, Springfield-Branson National Airport just 50 miles north of Branson. No matter how you get to Branson whether by air or by ground, you are sure to enjoy a great family vacation value. Within minutes of your arrival, you can be right in the heart of Branson, relaxing your way to your accommodation. Although Branson, Missouri has a tiny population, it offers many kinds of outdoor activities and family-friendly theater productions that already have attracted eight and a half million visitors last year, earning the place unofficial nickname “Vegas without the gambling.” This is due to the fact that private investors have placed a bet on Branson, spending $155 million to build the only privately financed commercial airport in America. 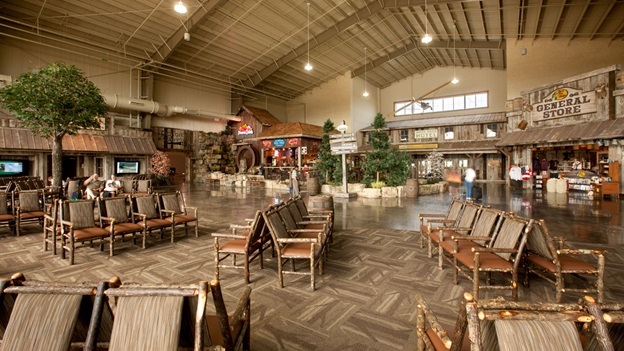 Opened in 2009, Branson Airport is just 10 miles south of Branson’s Entertainment District. Many years ago, it’s hard to find Branson on the map but with the opening of the airport in Branson, tourists keep on pouring thereafter. Thousands of excited vacationers are now descending into Branson Regional Airport which is designed to meet the needs of the growing tourism industry in Branson. Branson Air Express now offers flight service to 7 cities at low fares from Branson airport. Elite Airways operate flights to Houston and Denver, Buzz Airways operate flights to Chicago and Austin, and Orange Air to Cancun, Cincinnati and New Orleans. Flyers can now book non-stop flights between these cities and Branson. The airport features an all-weather runway, air traffic control tower, state-of-the-art passenger terminal building, and other safety and security features typical of an airport certified to handle commercial flights. The airlines have connections to over 100 markets nationwide. Visitors arriving at the airport in Branson are sure to enjoy a great time as their comfort and convenience is the top priority. Family and groups can enjoy dining and car rental services on site, as well as taxi and shuttle service to the heart of Branson. All flight options with connections can be viewed on your favorite travel websites such as Expedia, Travelocity, Orbitz, etc. or at United.com. If you prefer to get to your hotel by a shuttle bus from the airport, take the Gray Line hotel shuttle that services all hotels in Branson. The shuttle service is available for small or large groups or individuals that need transportation to the Branson area. The shuttle is available after 30 minutes of each flight arrival. You can also take airport’s exclusive transportation providers that include Branson Yellow Cab, Checker Cab and City Cab. Your vacation actually starts the moment you stepped in an airplane to Branson as most of the airline companies to this entertainment capital of the world provide great service and convenience.